Average hourly earnings of non-supervisory workers normally rise in the fall months, when seasonal workers are laid off. 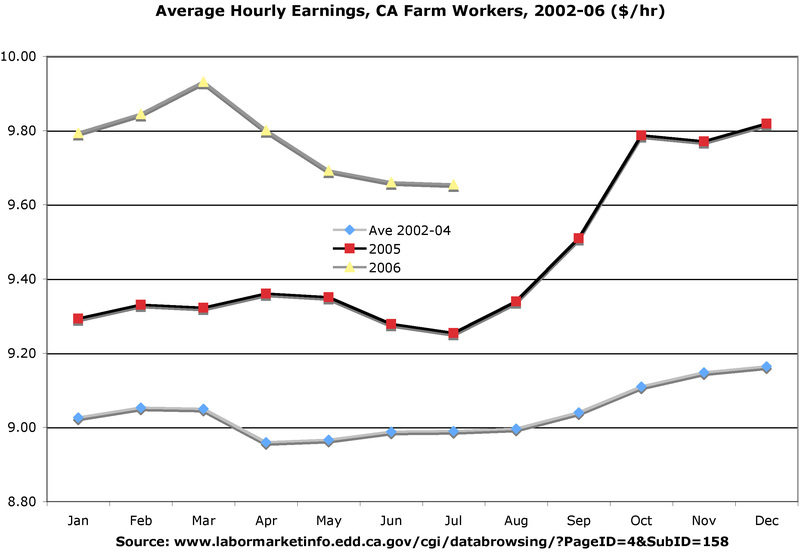 In 2005, earnings rose a larger than usual seven percent, and remained high early in 2006 before falling as seasonal workers were hired in May-June. These employer-reported data exclude supervisors.